Here is a super sweet, super delicious bar to help get you through these last few days of winter. I loved these served chilled, so that the dulce de leche is nice and sticky in between the layers of oatmeal cookie dough. As I said, these are suh-weet. So make sure you have a big cup of coffee or a tall glass of milk (or vanilla ice cream for sugar overload factor) when you eat one (or two, or three). I made my own dulce de leche in the instant pot. I only used about 1 1/2 cans of sweetened condensed milk, and that made plenty of dulce de leche. (of course, if you are prone to eat this out of the jar with a spoon, you might need to make the full two cans, in two separate batches. The can and a half filled my pint jar TO THE BRIM and it still worked beautifully.) 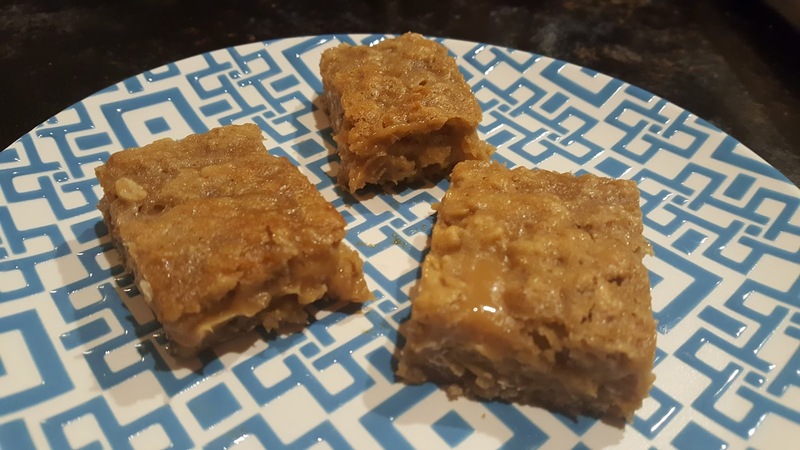 There are various versions online for making dulce de leche in the crock pot or stove top, too, so feel free to do what works best for you - or just buy it at your grocery! Find more inspiration at Full Plate, Wonderful Wednesday, Let's Party, Whisk It, Wow Me, Wow Us, Hearth and Soul, Awesome Friday, Weekend Potluck, Sugar and Spice. Cream the sugar and butter together until light and fluffy. Add the eggs, one at a time, and mix thoroughly. Mix in milk and vanilla. In a medium bowl, combine salt, baking soda, flour, and oats. Add the dry mixture to the wet mixture, 1/2 cup at a time. Press 2/3 of the cookie dough into a greased 9x13" prepared pan. Transfer the Dulce de Leche to a medium, microwave-safe bowl and microwave on high for 60 seconds, stirring every 15 seconds. Spread the Dulce de Leche over the cookie dough in the pan. Top with spoonfuls of the remaining cookie dough. Bake at 350 for 25 minutes. Let cool completely on a wire rack, then refrigerate for several hours before serving. Oh wow, these sound right up my street! I adore anything with oatmeal and dulce de leche is such a favourite! Thank you so much for sharing this recipe, Sara, and for being a part of the Hearth and Soul Link Party. Have a wonderful week! 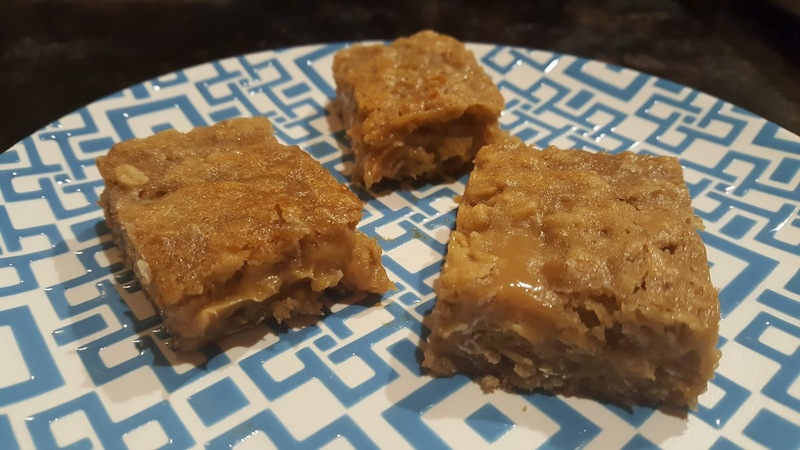 Your Oatmeal Dulce de Leche Bars will be perfect for Cinco de Mayo! Thanks so much for sharing your awesome post with us at Full Plate Thursday and hope to see you again real soon!